As we have seen, Captain Marvel sports two distinct looks in Marvel Studios’ latest blockbuster. 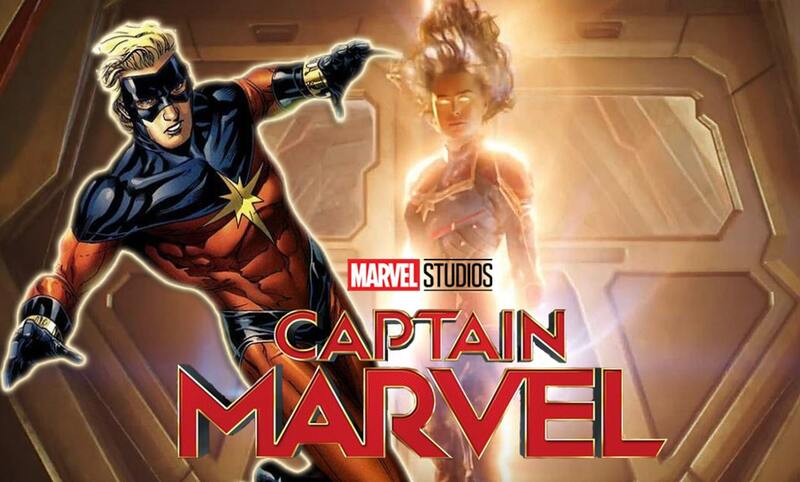 But thanks to Marvel Studios Director of Visual Development Andy Park, we now have a look at what Carol Danvers a.k.a Captain Marvel (or Vers at this point in the film) original Starforce uniform looked like. The initial design featured more armour and a heightened sci-fi look to it. Moreover, it is a completely reworked mask and helmet. Instead of the Mohawk design, we see her in the movie with this helmet, which features an open top and a tech-heavy visor. Believe me or not, it was close to being approved. Park went very sci-fi and tech for this design for one reason in particular. The reason being that at the time they hadn’t implemented the colour changing tech in the suit. Since this was going to be a completely different costume, some of those elements could be a bit different. Once the colour changing aspect was added though, the main design had to be the same. The design is pretty sleek, and most of it made it into the final Captain Marvel design, aside from the mask. In the movie we see her use the suit’s systems to change the colour scheme. She alternates between a few different looks, including a few easter eggs for fans of the comics. She eventually settles on the red, blue, and gold, and it’s a look Monica approves of. Captain Marvel is now in theatres. 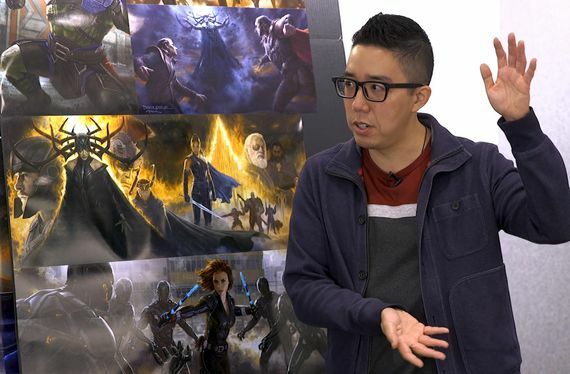 It is starred by Academy Award® winner Brie Larson, Samuel L. Jackson, Ben Mendelsohn, Djimon Hounsou, Lee Pace, Lashana Lynch, Gemma Chan, Algenis Perez Soto, Rune Temte, McKenna Grace, Kenneth Mitchell, with Clark Gregg, and Jude Law.